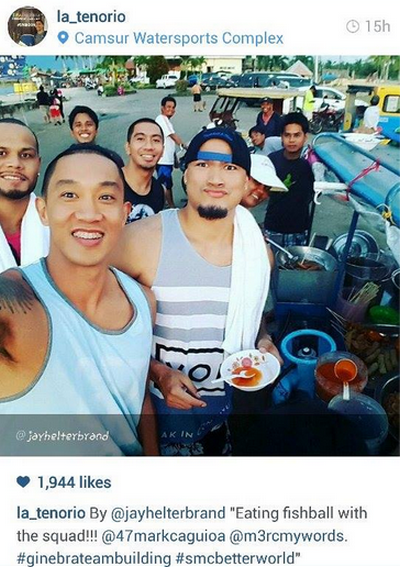 Ginebra Players Eating Streetfood in Camsur: Photo Here! Photo of the day: Sol Mercado, LA Tenorio, Jayjay Helterbrand, and Mark Caguioa spotted eating fishball in Camsur. It's their way of tightening further their bond as a squad heading into the PBA Season 41 Philippine Cup 2015.